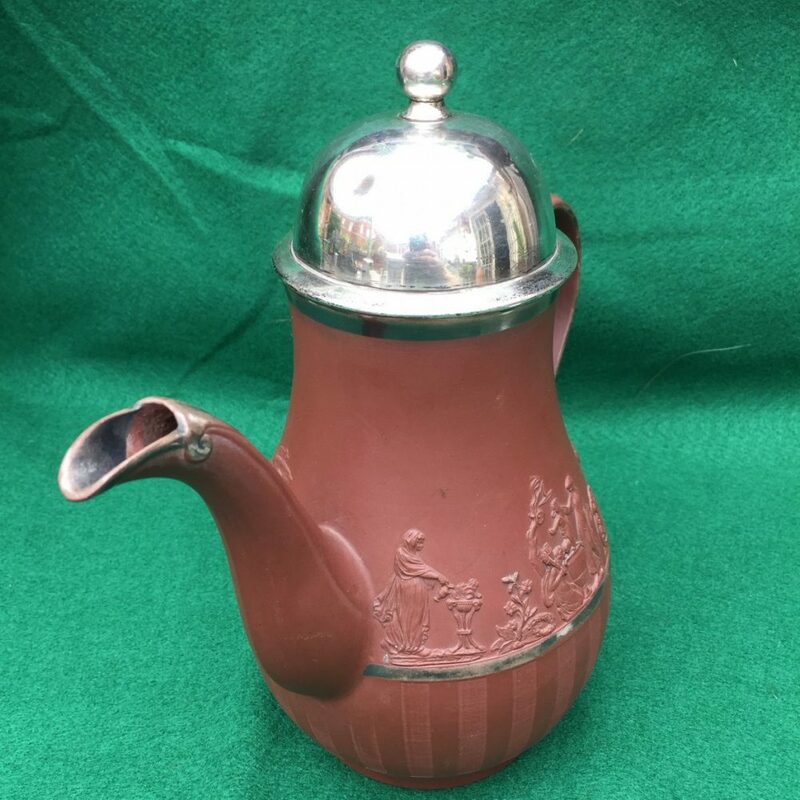 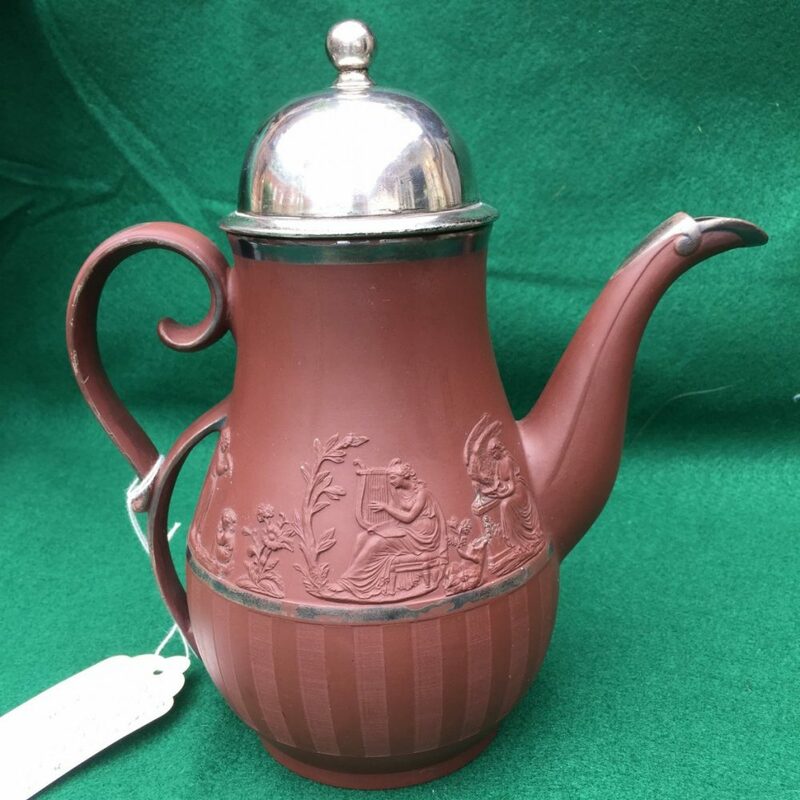 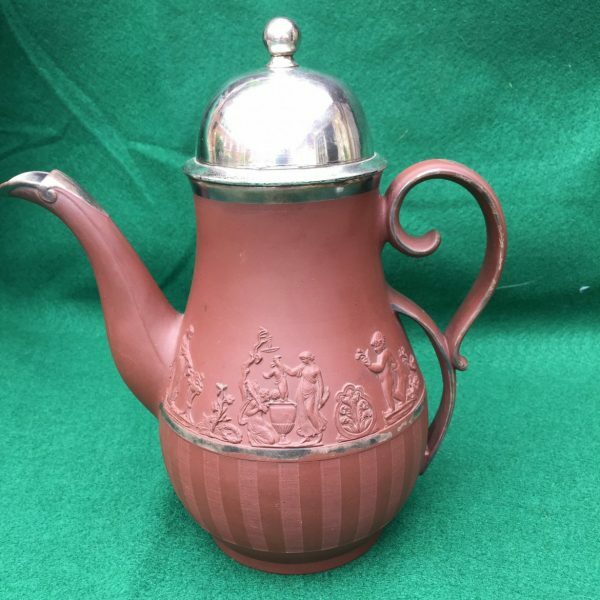 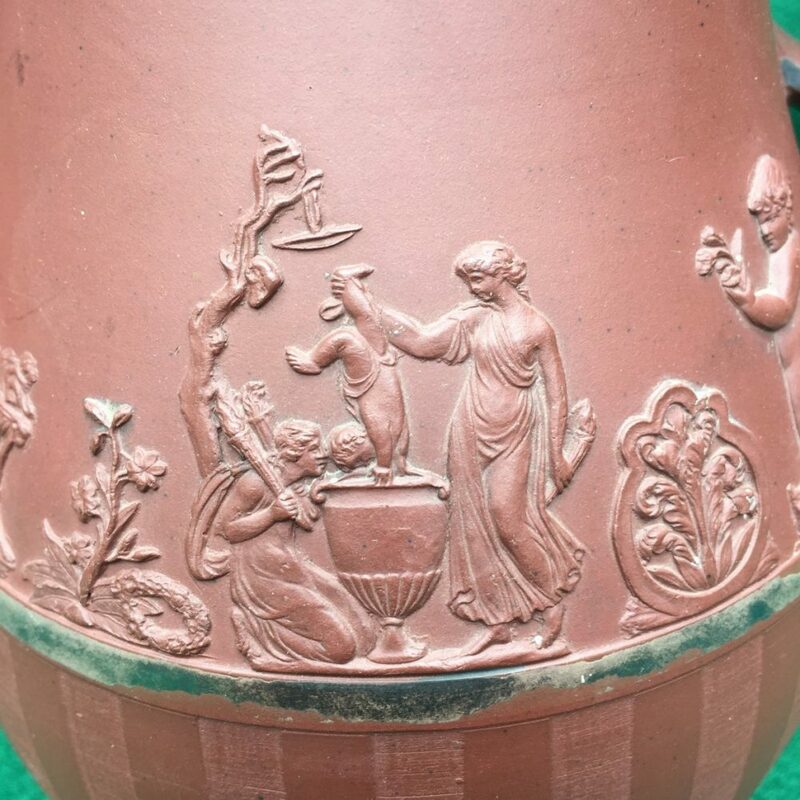 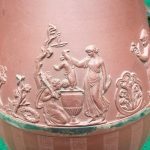 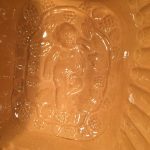 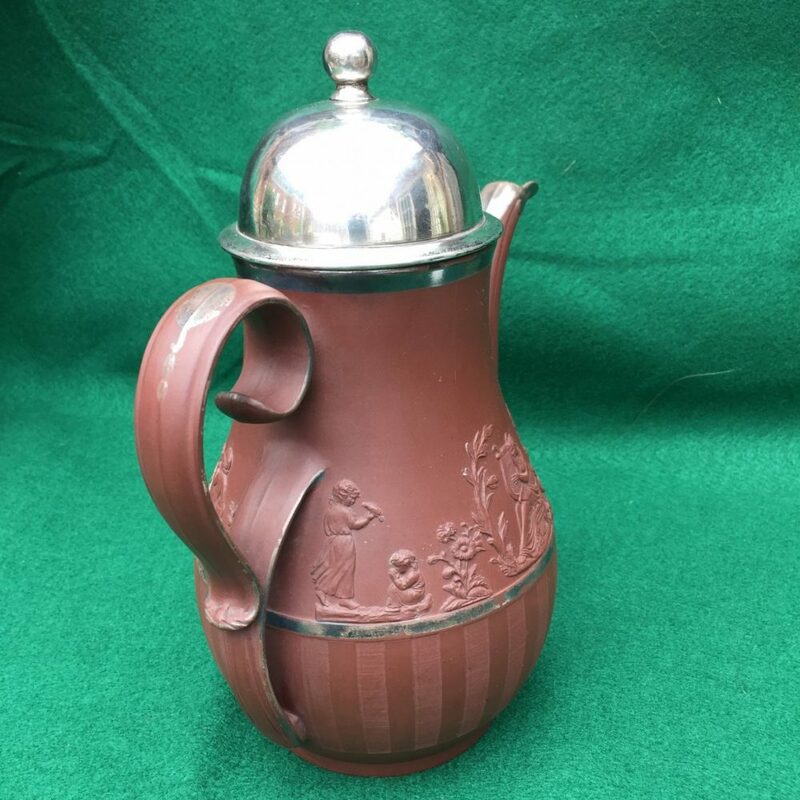 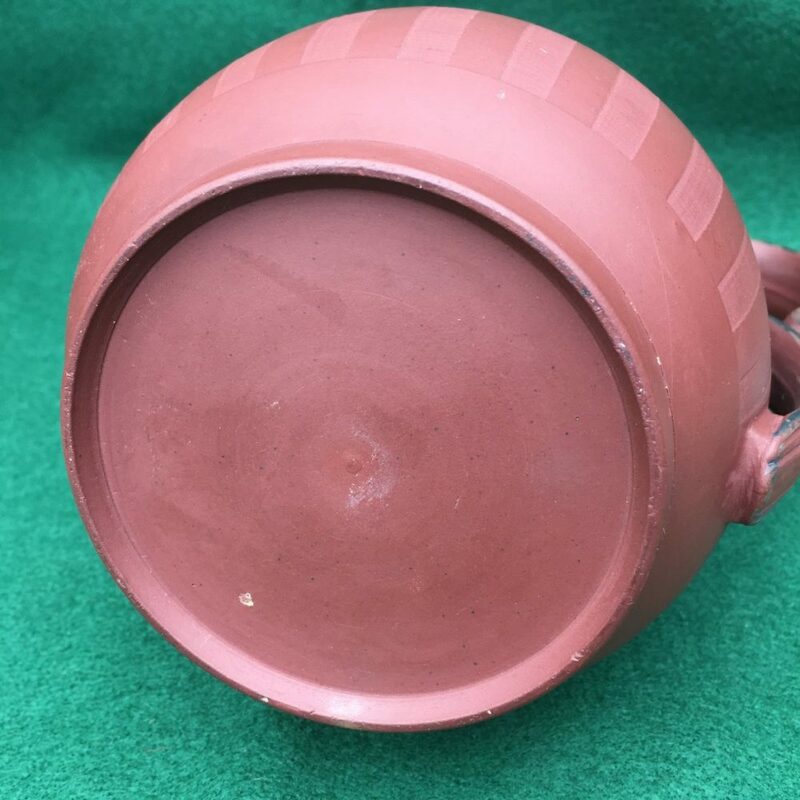 A rare English classical red ware pot with applied decorations, “A sacrifice” “The birth of Achilles”, etc. 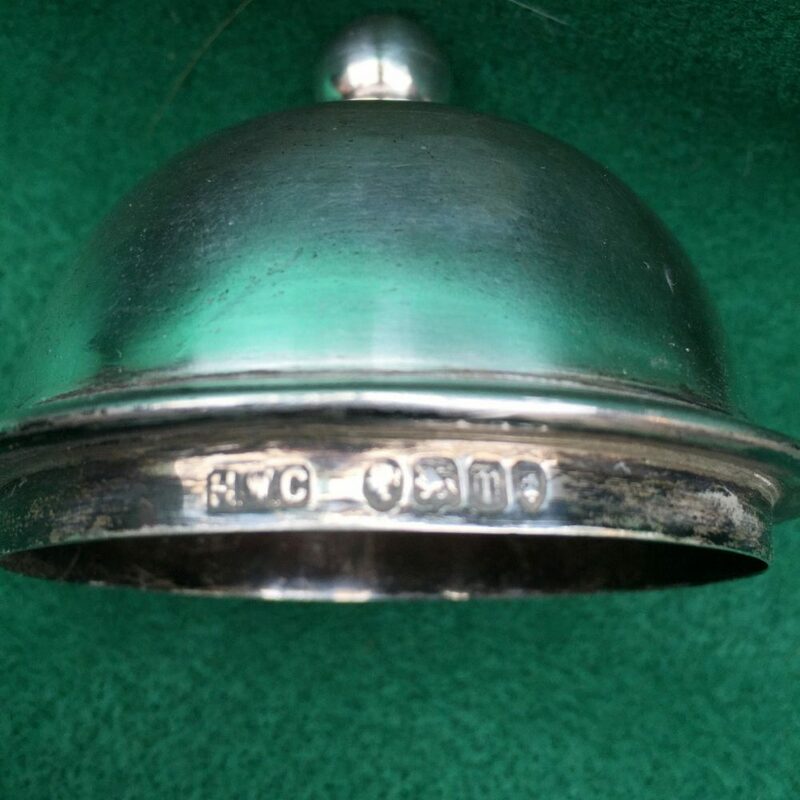 And the unusual silver resist details for which Hollins was known. 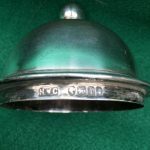 The sterling lid is hallmarked for 1867. 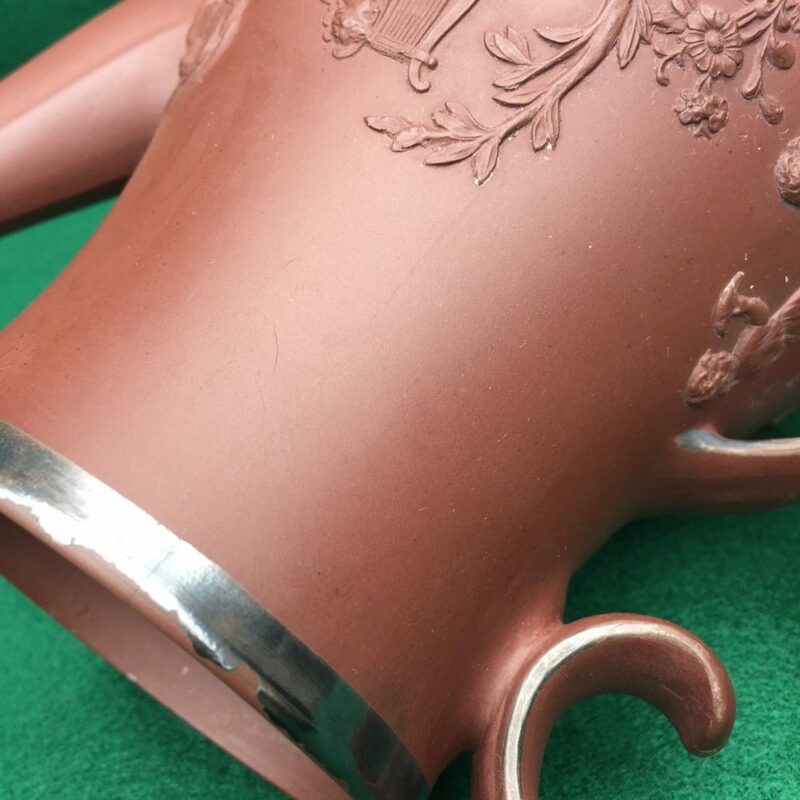 There is a fine tight hairline.